Do you have dreams of quitting your job to do work that actually feels meaningful to you? Do you want to take that idea you’ve been thinking about for years and turn it into something bigger? Of course you do, but there’s so much risk involved in pursuing something that might not result in anything substantial. When I tell people I’m self-employed, I always hear, ‘I’d love to do that’ or ‘I wish I could do that.’ I think to myself, ‘So why don’t you?’ Maybe you want to be self-employed yourself, or you want to change careers, move to another country, or start a non-profit. Whatever it is, something is holding you back from getting started. That something is probably fear around what would happen if you took the risk and failed. Instead of feeling confident in yourself and your ideas, you let doubt take the driver’s seat. But what if you could build up your confidence to actually take action instead of letting fear get in the way? 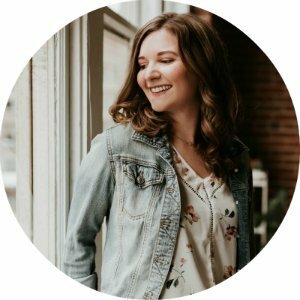 Today, I’m sharing how I took a risk and pursued my passion for writing and turned it into my job. I’m also sharing how you can feel more confident in yourself so you can stop holding yourself back. P.S. Not sure what you’re passionate about? Read this post first. My journey started when I created The Blissful Mind in 2014. After thinking about it for years, I finally committed to starting a blog so I could share my thoughts and ideas with the world. It was the perfect combination of my love for writing with my interest in web design (both of which I’d been doing separately for years). Of course I was scared to put my writing out into the world, and I worried what other people (mainly those I knew in real life) would think of it. I didn’t know if people would criticize my writing style or think that the topics I wrote about were lame. But I kept writing because it felt good to have a place to share the thoughts and ideas that I often didn’t have a chance to tell anyone about. 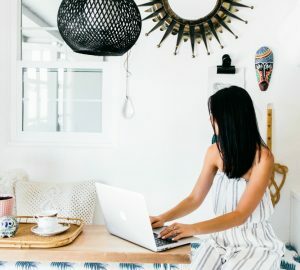 After making an effort to connect with other bloggers, I soon found that people were reading and commenting on my blog posts. It felt good to connect with people who had common interests, even if they were random people on the Internet who I’d never met before. 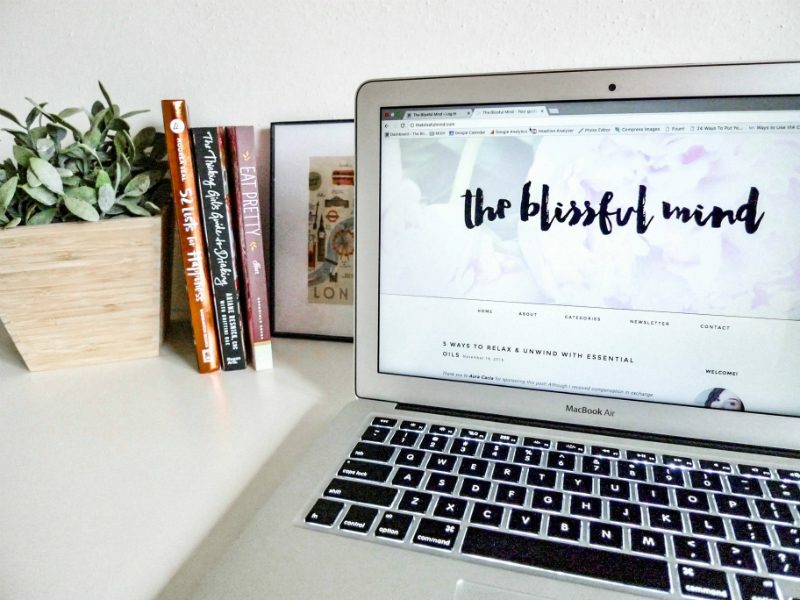 The encouragement from others gave me more confidence in my writing, and soon I wanted to put all of my time and energy into blogging. The more I wrote, the more confident I became in my writing. The more confident I felt, the more I wanted to keep doing it. As I kept blogging on the side while working my 9-5, I started to wonder if I should get some credentials that would make me feel more confident writing about certain topics. Since most of the topics I write about focus on health in some way (whether it’s mental health, physical health, stress reduction, or self-care), I wanted to make sure I was giving out solid advice. 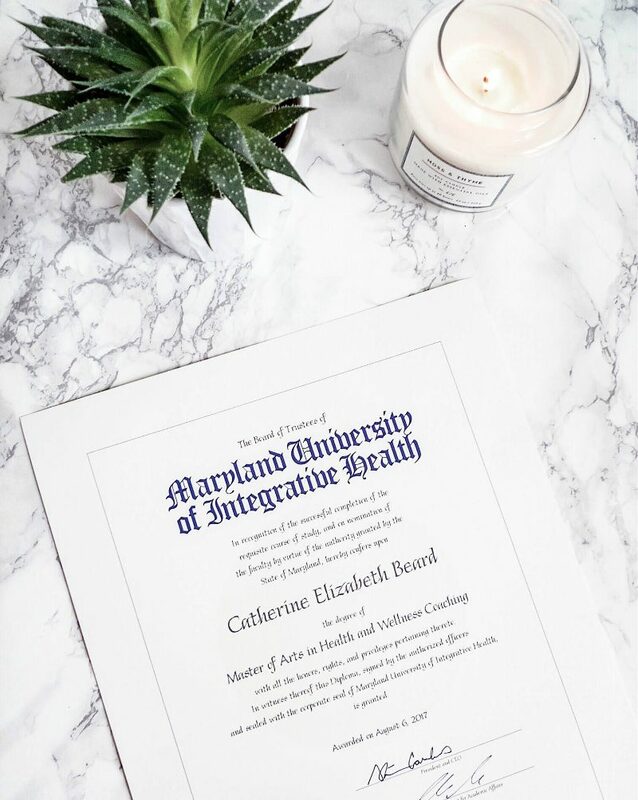 I looked at different programs in the health space, and I randomly came across the Health & Wellness Coaching program at the Maryland University of Integrative Health. I had no previous intentions of becoming a coach, but the program covered all of the topics that I wanted to learn more about. The program took two years to complete while I continued to blog and work my full-time job. 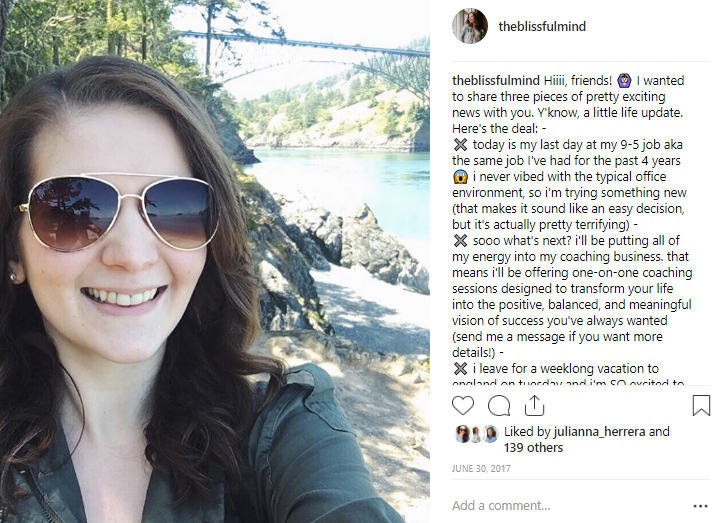 At that point, I was making a minimal amount of money from blog sponsors, but I had the crazy idea that at the end of my program, I would quit my job to focus on blogging and coaching. My little idea to start a blog in 2014 somehow transformed into a completely different idea along the way. If you want to pursue your dreams, continue to learn everything you can about the field or topic that you’re interested in. You really never know where it might take you. 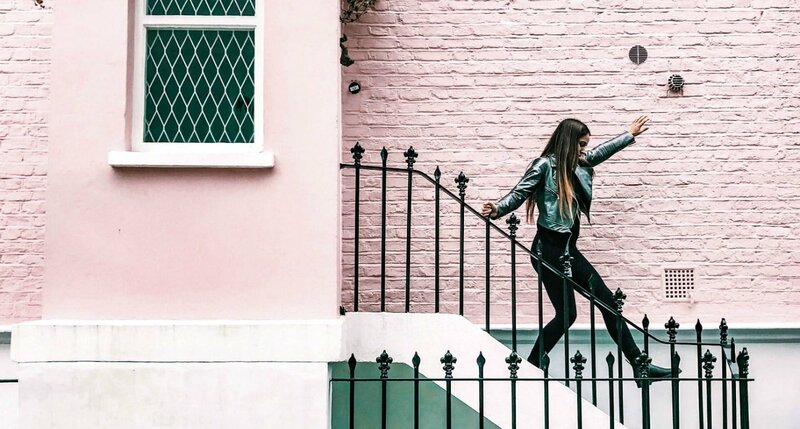 The number one question I get when I tell people I left my 9-5 job is ‘How did you know you were ready?’ The honest answer is that I wasn’t ready. My plan was to leave my job in September 2017, at which point I would be done with my graduate program. Instead, my boss basically told me that I didn’t have a choice on my end date and that my last day would be July 1, 2017. It was a weird situation, but I took it as a sign that it was my opportunity to try the whole self-employment thing. Obviously it was a shock, and I was in denial for a while. At the same time, I had this belief within myself that I could do this whole self-employment thing. I trusted myself to find a way to make it work. I’d built up this blog that people seemed to enjoy reading, and I was almost done with graduate school so I felt prepared to coach others at that point. To help deal with any worry that crept up, I set myself a time limit. I told myself that I would try out self-employment for two months. If I wasn’t able to make it work, I would look for another job. One year later I’m still going. It hasn’t been easy (being self-employed is more stressful than you’d think), but I’m grateful that I had the confidence in myself to take the risk. Whatever your dream or goal might be, I hope that the elements of my journey are helpful. The key steps here are to nurture your passions, learn everything you can about what you want to do, and take a leap of faith into the unknown. 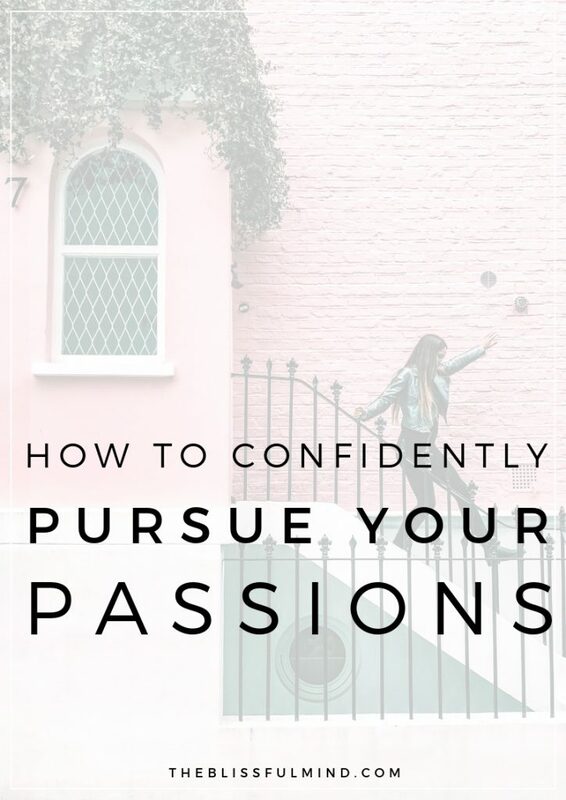 Wondering how you can find the confidence to pursue your own dreams and passions? The first step is to make sure you’re actually on your own team. If you’re constantly afraid of failure or judgment from others, you’ll never feel ready to go after what you want. 1. Trust – Trust that you will make the right decision or figure out the next best step on your own. Believe that things have a way of working out in your favor. 2. Self-Respect – Respect yourself enough to not let others make decisions for you. Get clear on your boundaries and values in life. 3. Acceptance – Accept yourself without feeling the need to change to meet the desires of others. Know that you are worthy of success despite your flaws. 4. Commitment – Take responsibility for your life. Commit to being consistent with your actions. 5. Compassion – Be patient with yourself and your situation, even when things seems to take forever. Treat yourself with kind thoughts and encouragement. I think it’s important to mention that you can’t keep using lack of confidence as an excuse to not get started. Those excuses are simply a form of procrastination. We’re so convinced that everything has to be perfect the first time we do something when it truly doesn’t. When you’re just getting started, there’s no need to put too much pressure on yourself. Instead, take one little step that will move you closer to your goal. Done is better than perfect. Build up your confidence in yourself by learning everything you possibly can about what you’re trying to accomplish. 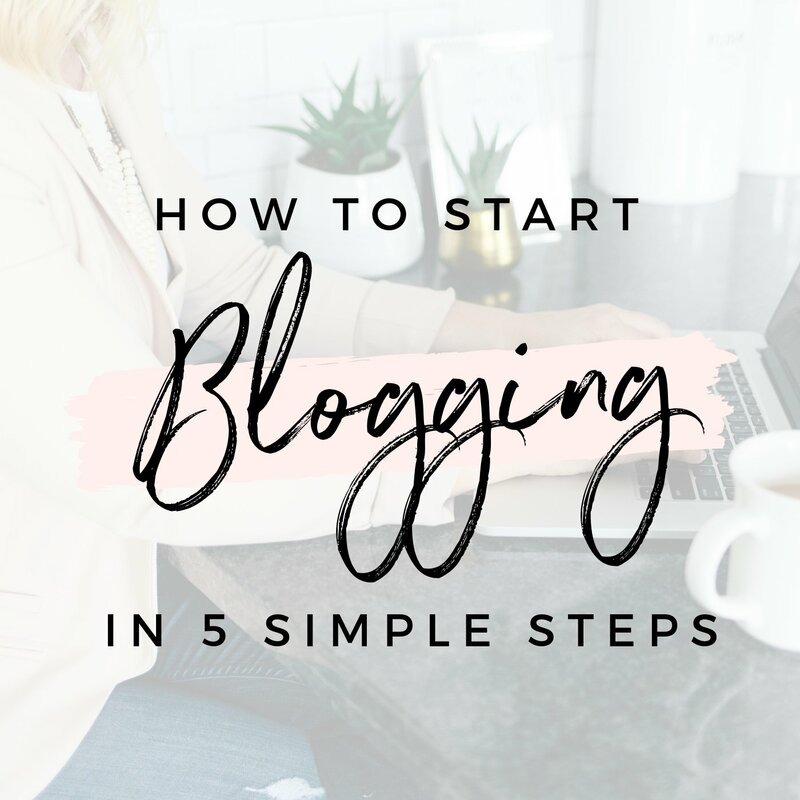 If it’s starting a blog, research how to start a blog. If it’s going into a new profession, learn everything you can about that profession. If it’s traveling the world, find out how other people have done it. The key here is to never stop learning. In order to successfully pursue your goals, you have to have an unwavering commitment to yourself and your ideas (even if no one else gets it). I recommended listening to Suzy Batiz on the Skinny Confidential podcast talk about how everyone thought she was crazy to create Poo Pourri. If she hadn’t have committed to her idea, she never would have known that it would become a multi-million dollar company. What’s your biggest takeaway from this post? I hope this post has given you some actionable steps towards building self-confidence and pursuing your passions. 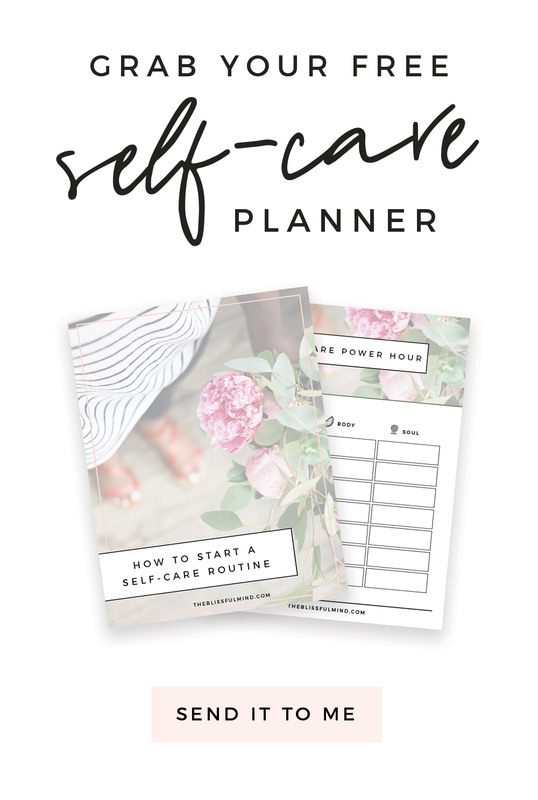 I’d love to know how you cultivate confidence in yourself! This is so encouraging! I’m in the middle of trying to find a job so I have an income but also working behind the scenes to get my writing out there. I love reading about other creatives who are pursuing their passion! Such a relatable read. Such a great point that we should never stop learning. Sometimes starting out it’s overwhelming and I want to take too much in too quickly as I want to do things perfectly but a great reminder to take baby steps. I’m excited to continue on my journey and see where it leads me. Loved reading your story and you are such an inspiration! Definitely, my favorite blog to follow. I have big dreams but I let fear hold me back. Fear of what others may say, fear of failure, even fear of just getting started. Also, perfection holds me back as well. I want everything to be perfect before I make it official and honestly I’ll never reach that point. I just have to do it. Thank you for the encouraging post! I’m currently working the 9-5 with a blog on the side as well so it’s nice to know that other people started out the same way. Thanks for sharing your story! This post is like you read my mind of what I needed! :-) I am just starting to get excited about my blog and I’m already dreaming of my blog’s future. it’s a little overwhelming to enter into this new “world”. 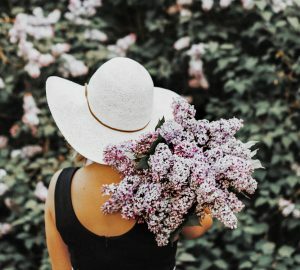 I appreciate you sharing your journey and mentioning that you first started by connecting to other bloggers. Do you have any advice on how to best do that? I’m always worried about doing it “wrong”. Thank you for putting this blog out here for the rest of us to enjoy – it’s designed beautifully and always a good read. I love how all your posts have actionable advice. I wish I had read this post before I decided to quit teaching. Pursuing my dreams just didn’t even seem like an option until I hit breaking point. All of your points here are so accurate. Thanks for sharing your experience! I’m glad it worked out for you and I’m sure this post will help a lot of people. 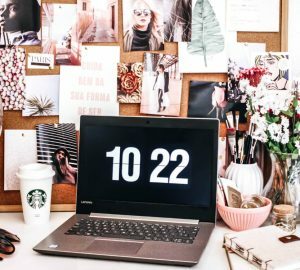 I love reading your blog posts because they’re always a perfect combination of inspirational and practical. I love how you didn’t just say “go for it” but actually gave some tips. As someone who’s been blogging for enjoyment but considering tentatively stepping towards working for myself, I really appreciated this post. Thanks!